Viel schneller als erwartet!! Tausend Dank!! Быстрая доставка. Хороший товар. Спасибо продавцу. No free samples, arrived late. 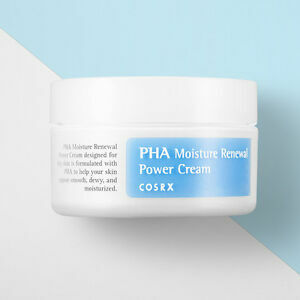 This cream does wonders and I'm not exaggerating. It's rather thick in consistency, however it leaves the skin soft and breathable, no oily film over the skin, like some other moisturisers for dry skin. Due to this fact, I use it as a night cream on my combination skin and it is one of the best ones I have ever used. It never breaks me out, in fact, it helps with my previous breakouts and leaves skin so smooth in the morning. It fixes even the worst dehydrated skin days overnight. Definitely the best investment I could ever make, along with other cosrx products. Going to restock soon! Тяжелая текстура, на любителя. Крем работает, но надо не мазать , а вбивать в кожу.